With Codax codes, pre-paid and fleet cards, barcodes and mobile apps, it’s easier than ever for customers to use your carwash services. Start the wash with Codax code, barcode, pre-paid and fleet cards or mobile. When your customers see Codax on your forecourt, they know it will be quick and easy to use your carwash or jet wash. 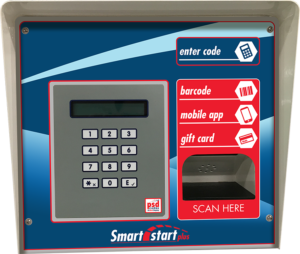 The Smartstart Plus unit can be perfectly positioned on a pedestal for customers who drive up to the wash, or mounted on the wall of the building. It is designed to be quick and simple for customers to use; it is also rugged and reliable to keep your carwash in-service. Classic Codax keypad – known and trusted by carwash customers around the world. Pre-paid and fleet card reader – supporting secure, reliable pre-paid and fleet cards. Barcode scanner – quickly and reliably reads the barcode on newer Codax tickets. The barcode reader adds future-proofing, as it also scans the secure code from the WashConnect® smartphone app. A variant of the Smartstart Plus is the Pay@Wash unit. This can include any of these options, as well as offering credit card or cash payments for customers who do not want to queue in the forecourt shop. 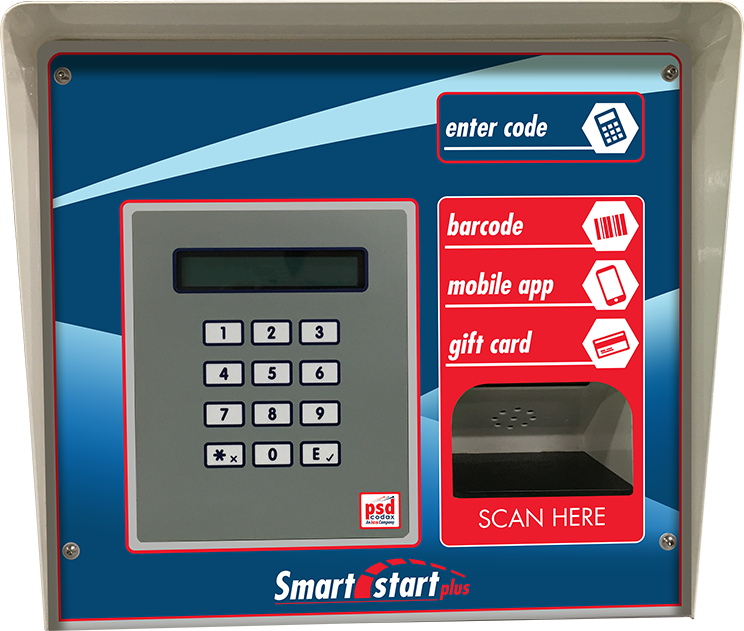 You can specify the Smartstart Plus devices in a number of different language versions; additional languages can be added on request. 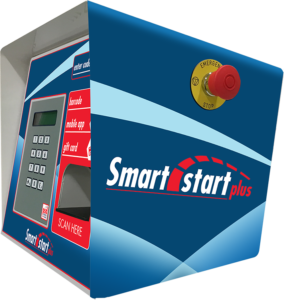 These latest generation Smartstart Plus units are fully compatible with earlier Codax systems. They are suitable for any automatic carwash, jet wash or forecourt equipment through our custom or generic interface options.